EghtesadOnline: U.S. President Donald Trump accused Germany of being a “captive” of Russia on Wednesday as Western leaders gathered in Brussels for a NATO summit where Trump wants Europeans to pay more for their own defense. In a startling public outburst against one of Europe’s main military powers, Trump told NATO Secretary-General Jens Stoltenberg that Germany was wrong to support a new $11-billion Baltic Sea pipeline to import Russian gas while being slow to meet targets for NATO spending to protect against Russia, according to Reuters. Trump, who later arrived at NATO’s new billion-dollar headquarters in his presidential limousine, appeared to substantially overstate German reliance on Russian energy and to imply the German government was funding the pipeline, which Berlin says is a commercial venture. With tensions in the Western alliance running high over Trump’s trade tariffs on European steel and his demands for more contributions to ease the burden on U.S. taxpayers, the latest remarks fueled concerns among allies over the U.S. role in keeping the peace that has reigned since World War Two. Baltic leaders fearful of any repeat of Russia’s annexation of Crimea called for unity as they arrived at the summit, while Slovakia’s President Andrej Kiska said his country was “one of the good guys” because he was increasing defense spending. Trump, who allies hope will sign off on a summit deal to step up the West’s deterrence of Russia, will hold talks with German Chancellor Angela Merkel later on Wednesday. Merkel later responded to Trump’s remarks, saying Germany, one of the biggest troop contributors to NATO missions, was free of Russian control since the fall of the Berlin Wall. NATO’s Stoltenberg later told reporters that Trump had used “very direct language” but that all NATO allies were agreed that the cost of defense spending must be spread around and that last year had seen the biggest increase in a generation. After joking that his breakfast with Trump at the U.S. ambassador’s residence had been paid by the United States, the NATO chief was frank about the impact of Trump’s criticism on the Western allies at a broader level. 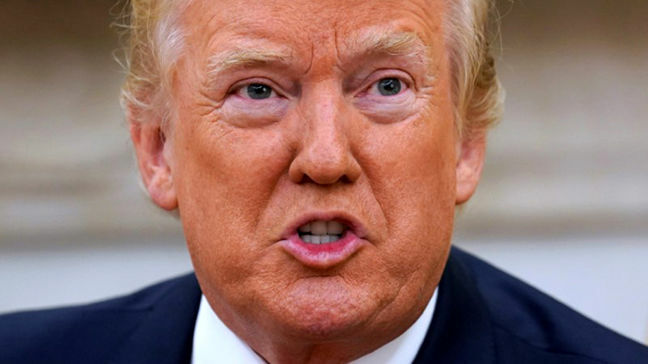 By slapping higher tariffs on European Union metals experts and threatening more on cars, Trump has shown his anger at the U.S. trade deficit with the European Union. Merkel has given political backing to the Nord Stream 2 pipeline to import more gas, despite criticism from other EU governments.